Highly endorsed by A.A. staff! Reusable, biodegradable strike indicator putty. Adheres to leader, fl.. Clips to virtually anything. 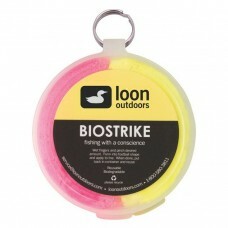 ..
From Loon Outdoors. A no-lead putty that is shaped and applied to leader. It hardens in water to get..
Earth friendly water base floatant. 1-1/4 oz. 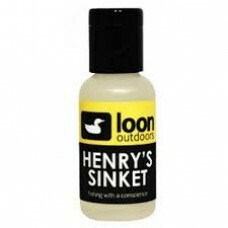 spray ..
Cures in seconds in sunlight or UV, for coating knots ..
From Loon Outdoors. An excellent, synthetic water repellent. 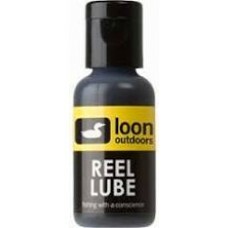 Protects reel components from rust and ..